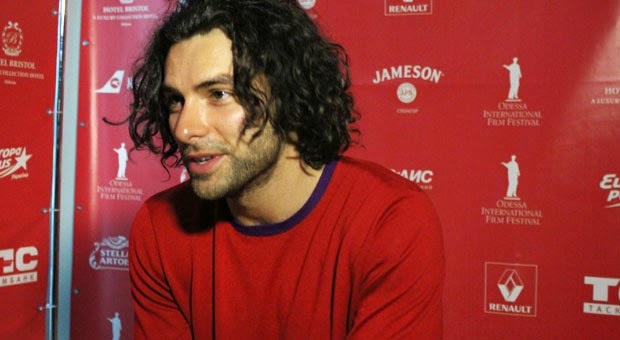 Aidan Turner talks to Okino in Ukriane about The Hobbit and Desperate Romantics. I have just put the article through the translator and have posted it as it is, hoping that.the gist is clear. Okino: Do Kiely your character in "The Hobbit," a very interesting storyline of the entire trilogy. In the first film he's a warrior, in the second - in love. And what will happen to your hero in the third part? Aidan Turner: I do not know. Honestly, I do not know. We certainly have seen a little footage, but not the entire movie. I do not know exactly how they want to reveal my character, what his emotions to be transmitted in a given scene, the scene can expand or cut during installation. And this is one of the great features of working with Peter Jackson , who creates every second around you the whole world. Or create without you (laughs). O: I envy whether Keely other dwarves from "The Hobbit" because he, unlike his comrades, and did not go to the mountain with a dragon? Aidan Turner: Though he did not go to the mountain, but in the third film of my hero will show a lot. He envies others? Perhaps, but it was not important in the image. More importantly, he has to be separated from other gnomes to part with them. Sometimes it is good to fight back from the pack and the total plot. In the first film, for example, tells who the gnomes, they are represented as a kind of brotherhood. But parting - it was good. Well, when your character is something stands out. "The Hobbit" because a small book, and Peter Jackson greatly embellished the story and shed light on the more serious topics, it was vital to make a full movie. In the book, there is no line between love and Keely elf, and indeed, this character does not exist. I spoke with the actress who played her -Evangeline Lilly , and we both decided that the film needed a strong female character. All go to the movies, not all audiences - male. In the trilogy so many strong characters - elves, dwarves, and so on, that the heroine was a match for them is a must. Women in this film, in principle, a little bit. And it's a lot of courage on the part of Peter, that he decided to add a similar line in the plot, while respecting the spirit of the universe Tolkien. -O: What are you most impressed by the set of "The Hobbit"? Aidan Turner: That's what There is a misconception about "The Hobbit. "When people are watching a movie, then think about it all done by computer graphics. But it is actually much less than believe. 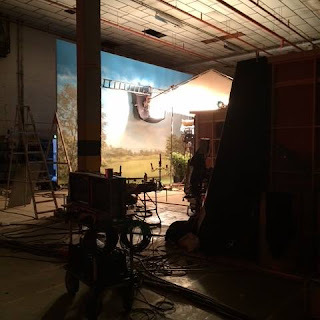 Location, nature - it's New Zealand, not props. She really looks so - excellent, incredible! Nature in the film seems unnatural, as if the graphics, but it's real. Waterfall, mountain peak - when you look at the screen, one thought: this is fake. But the fake landscapes just seem real. You will be shocked to learn that now, and what is not. O: In New Zealand, if you happened to see the strange local fauna? Aidan Turner: Well, we have in Ireland, of course, no kiwi birds, but "strange" I have not seen fauna. Orcs, elves, dragons - that was strange for me.Dragon, I would not even call it strange but incredibly creepy. Remember yasmotrel as Benedict Cumberbatch preparing his voice. In the studio there was a bed, and an actor on her squirming like a dragon. Amazing! And the voice of Benedict. You knew his voice in the film left virtually unchanged?It's amazing, he's very talented. O: And you want to work on the sound system? Aidan Turner: Yes, why not. To announce something in the style of cartoon Pixar - a good idea. When I have kids, maybe I'll look for just such a role. I would like to voice did not just a cartoon, but to give voice to some special character. O: And what is the character? Aidan Turner: I do not know. But the work, such as Pixar would be a major project for me. O: Let us recall another popular your role - the artist Dante Gabriel Rossetti in the mini-series "Desperate romance." How did you prepare for the shooting? Read books, go to museums or ...? 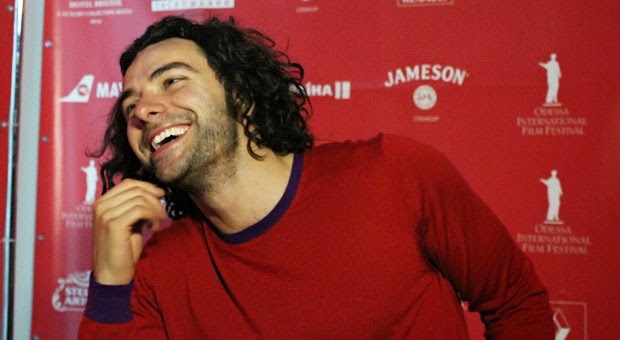 Aidan Turner: And then, and more. For example, in the gallery "Tate" then walked exhibition of works by Rossetti. I have read everything that you could find on the subject. That helped, but there was a moment when I thought that here, done this kind of work, but how will it affect my acting performance for me as an artist? I love working Rossetti and the Pre-Raphaelites in general, but did not know it will help me or not. Because you give us your remarks, you communicate with the director and other actors, to consider their opinions. O: Do you think the character who you have turned, like a real Rossetti? Aidan Turner: I do not know. I would not like to Rossetti were alive today, watched a movie and could tell that he was not as inspired not by what is shown on the screen, do not think about people and stuff. It would be hard to hear that. Actor has to offer his vision of real people. And the genre in which we have made ​​Desperate Romantics - this is not a literal biography Rossetti and others. We exercised the most creative group to convey the feelings of the writer, whose book series is based, in order to convey the romantic mood of the artistic movement, we could play with the chronology.But that's okay. Unlikely we treated disrespectfully to prototypes and real history.